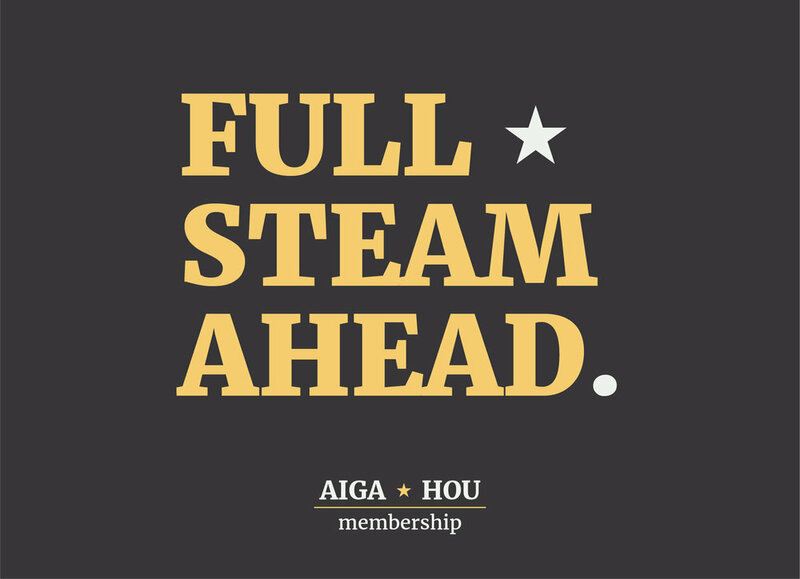 AIGA HOUSTON MEMBERSHIP | Branding — John Boran Jr.
goals – Create a system of branding that feels uniquely Houstonian and AIGA. AIGA Houston is the primary community for not only graphic designers, but also for creatives of all types, in the city of Houston. Due to their wide community reach, AIGA Houston wanted a branding system that could showcase not only the community, but also AIGA's goals and also the roots of Houston. Based on vintage travel posters and the port of Houston's storied history, the marks likens the AIGA community as a ship we're all in together. The system is built to be approachable, informative, and stylistically distinct to anyone outside and inside the community. M ship word mark - abbreviated word mark. AIGA HOU styled mark - AIGA Houston mark styled to match membership branding. AIGA ad examples - Ad examples referencing old travel posters and official edicts.